Hey, HHJs! For those just starting off on their natural hair journey, I thought it might be helpful to list some of the key items needed for your healthy hair product toolbox. To get more details on specific products that I use in each category, visit my Favorite Products page or my Amazon store. In full disclaimer, Amazon does pay me a commission on items purchased from my Amazon store. Shampoo or Cleanser - You need something that will bind to oil, dirt and product buildup to remove it from your hair. If you are low porosity, like me, then simply conditioner washing will not always be enough. You need something with cleansing agents in it. I've been working on a cleansing agent post for about a month now, so it should be up soon. Rinse Out / Instant Conditioner - The purpose of a rinse out conditioner is to balance ph levels and coat the hair cuticles to make it easier to detangle the hair. In other words, while shampoo binds to oil and dirt, conditioner binds to hair (adsorbs to hair). Deep Conditioner - These are particularly important if your hair is damaged, needs an intense moisture boost, or needs a protein boost. Deep conditioners are left on the hair for awhile to give them time to penetrate the hair. There are three types of deep conditioners (moisturizing, protein and hybrids). I've already covered protein conditioners in a prior post. Because I have low porosity and fine strands, I personally prefer hybrids containing light proteins. 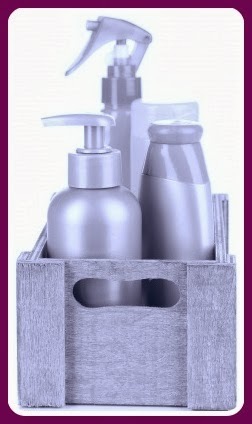 Leave-in Conditioner - These are lighter conditioners that are mild enough that they can be left on the hair long term. Some instant conditioners can double as leave-ins, but some have ingredients that can irritate the scalp with time. Moisturizer - I already have a post on finding a great moisturizer. Water is the best moisturizer, so any “moisturizing” product should have water as the first or second ingredient. Some leave-in conditioners can double as moisturizers. Sealant - This would be an oil or butter based product. I don’t usually use a straight oil or butter to seal water into my hair as it is less necessary for low porosity ladies. Instead, I use a cream or lotion, which is a mixture of water and oil/butter held together by an emulsifier like BTMS. Based on the above, you probably could get by with a good cleanser, a deep conditioner, and an instant conditioner that multi-tasks as a rinse out, leave-in and moisturizer. I'm just not that efficient because I’m a product junkie.